As we reported earlier this month, the spinoff has been confirmed and will air on Netflix. Logline: A mother, torn from her daughter embarks upon a harrowing journey, stopping at nothing to find her. Thrust alongside a small group of American refugees, she must brave a hostile new world and make brutal decisions during the most deadly summer of a zombie apocalypse. The show is created by Karl Schaefer and John Hyams and produced by The Asylum. Schaefer and Hyams will serve as co-showrunners. Z Nation creator Karl Schaefer and the show's John Hyams co-created the spinoff, which like the flagship is produced by The Asylum. Schaefer and Hymans will serve as co-showrunners on the drama. 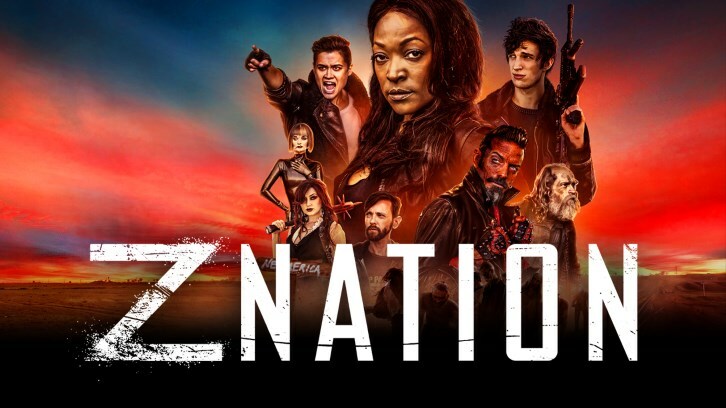 Z Nation has been a steady hit for NBCUniversal-owned Syfy, which has first-run rights to the low-cost scripted original. The series will return for its fifth season this year. Netflix has streaming rights to the drama, which was co-created by Schaefer and Craig Engler. Syfy's Z Nation is getting a spin-off series titled "Black Summer", SpoilerTV has learned. A prequel set in the world of Syfy and Asylum's #1 scripted hit zombie series Z Nation, Black Summer is as bad as the apocalypse gets. A worldwide drought and famine when most of the surviving population dies and turns zombie. As the remnants of humanity cling to existence, fan favorite Charles Garnett returns to send a new team on a desperate new mission: Retrieve a possibly untouched cache of the food substitute Soylent Z from Galveston, Texas. But when mission leader Israel Johnson and his small team arrive in Galveston, they'll face a threat unlike anything ever seen before in the zombie genre. There is an SDCC panel scheduled on Thursday, July 19th, so looks like we'll learn more details then.